Heidelberg University, founded in 1386 and the oldest University in present-day Germany, looks back on an eventful past, and a long influential history. Its history which manifests itself in the university collections as well as in the research findings and biographies of their scholars are reflected in various publications. These works, together with the many and diverse activities carried out at the university to ensure the transfer of current knowledge and research to a broader public, deserve their own platform. The “Campus Media” section is a forum for the publication of writings about historical and current affairs on topics related to the University, as well as for making new research available to a wider audience. 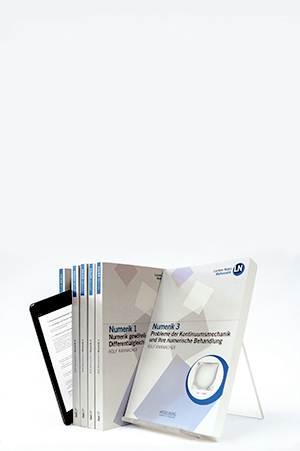 Including journals such as Ruperto Carola, Heidelberger Jahrbücher online and Studium Generale, written in a clear and comprehensive style, scientists and scholars inform the public about current developments in research. Lecture Notes as part of "Campus Media" are aimed at students interested in exploring a specific topic in great depth. Lecture Notes provide a didactic account of essential fundamentals in a specific scientific field, while at the same time addressing and describing current topics of active research and controversy within the field. Lecture Notes on a given topic bear the mark of the specific lecturer who produced them, offering a great opportunity for students, and others, to gain unique insights into these topics and beyond from experts in the field. Given the intended target group, “Campus Media” publications are not necessarily peer reviewed.